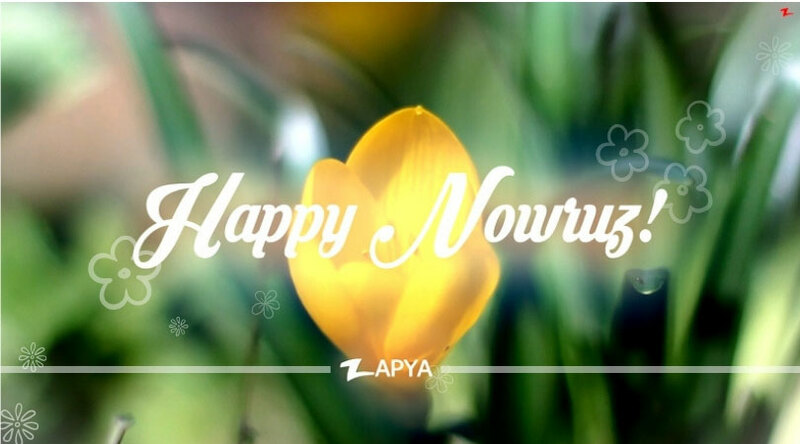 Zapya wishes a very Happy Nowruz to everyone who celebrates this beautiful day of spring all around the world. This is new year celebration and Zapya would like to send best wishes to all of you. For millions of people across the globe, Nowruz is no small celebration. Think Christmas, New Year’s and Fourth of July combined — and add to it fire festivities, delicious meats, rice and spices, family gatherings, street dances and loud banging on pots. But it’s much more than that, too. Nowruz “promotes values of peace and solidarity between generations and within families. Food is very important while talking about Nowruz – Herbs are key. Fish, meat, rice, noodles and beans in various dishes are all peppered with fresh mint, tarragon, basil and other green herbs. The main Nowruz dish is Sabzi Polo Mahi: fried fish beside rice filled with green herbs. Another, Dolmeh Barg, includes cooked meat and rice stuffed inside grape leaves. And Fesenjan, one of Iran’s most famous stews, offers meat, usually chicken and sometimes duck, in pomegranate and walnut sauce.